Arie Monroe is a Kansas City-based cartoonist. Arie Monroe is a Kansas City-based cartoonist. She received a BA in Sutdio Art from the University of Missouri Kansas City. 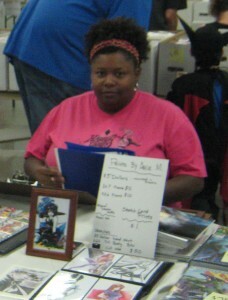 She also studied character animation and comic book illustration at the Joe Kubert School of Cartoon Graphics.